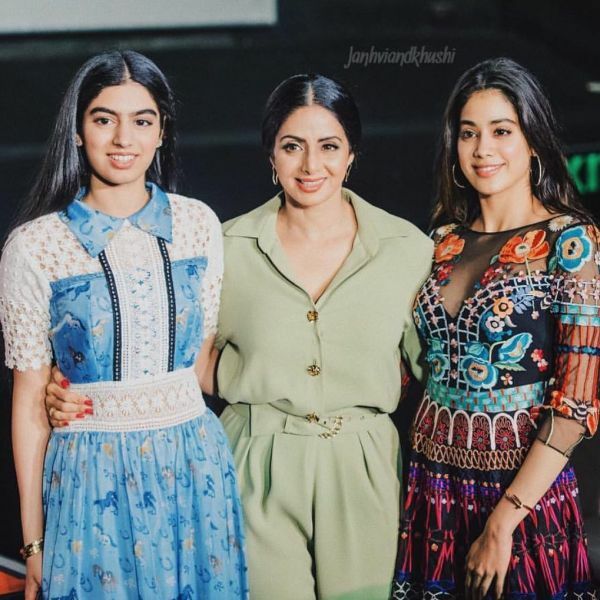 Janhvi Kapoor and Khushi Kapoor were close to their mother Sridevi and the three were inseparable at social events. The untimely demise of the star in February this year left a big hole in her daughters' lives as well as the entire film industry. 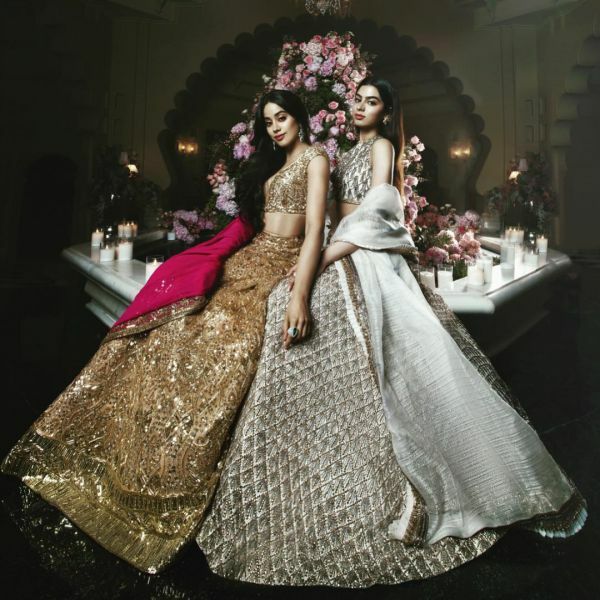 While both Jahnvi and Sridevi's husband Boney Kapoor have spoken publicly on the matter, Khushi Kapoor has mostly refrained from publicly expressing her feelings. However, Khushi expressed her love for her mother in a unique way. The younger Kapoor sibling has apparently tattooed the birth dates of mom Sridevi, sister Janhvi, and father Boney Kapoor near her heart. A picture from Manish Malhotra's Instagram account gives us a glimpse of Khushi's tattoo on the left side of her body. 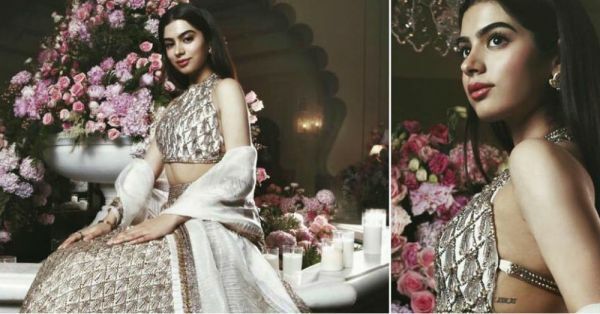 Khushi was seen in a Manish Malhotra dress for Isha Ambani's pre-wedding festivities in Udaipur, and the fashion designer put up a post with Khushi in a sparkling backless lehenga-choli for the occasion. A part of the tattoo is visible in the picture and it shows the Roman numerals 'XIII' and 'XI' - the numbers 13 and 11, which are the birthdates of Sridevi (August 13) and Boney Kapoor (November 11). Reportedly, the entire tattoo begins with the 'V', the Roman numeral for five (her own birthdate is November 5), followed by a 'VI' for Janhvi's birthdate, March 6. This is then followed by Sridevi's and Boney's birthdates. So, the entire tattoo reads, 'VVIXIIIXI'. While it is not certain if Khushi would follow her mother and sister into Bollywood, we certainly think she would fit right in. Boney Kapoor apparently did confirm that Khushi would take the plunge into films a little later in her life. 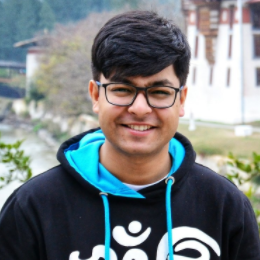 Director Karan Johar has reportedly expressed an interest in doing a movie starring Khushi in the future, along with Shah Rukh Khan's son, Aryan. Khushi attended Isha Ambani's pre-wedding celebrations in Udaipur, along with her sister Janhvi and most of the Kapoor family. The sisters were seen having a ball with the the celebrities from the industry (and Beyoncé!) at the sangeet. Isha Ambani and Anand Piramal are all set to get married later today in a grand ceremony in Mumbai. Stay tuned to POPxo for all the updates from the wedding of the year!